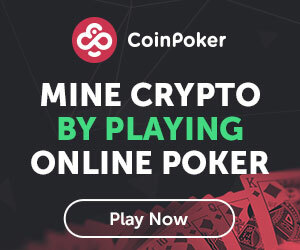 Arch crypto-skeptic Nouriel Roubini, professor of economics at New York University, has gone head-to-head with cryptocurrency’s most vocal proponent, Ethereum co-founder Vitalik Buterin. The duo was speaking at the Deconomy Conference in Seoul in a debate entitled the Fundamental Value of Cryptocurrency and its Sustainability. Roubini is known among crypto-enthusiasts as Dr Doom, and has had heated debates on the future prospects of cryptocurrencies with Buterin on a number of occasions in the past. The pair’s Twitter battles have often bubbled over, with neither party showing a willingness to back down. The duo clearly had very different views on the situation in Venezuela, where citizens have been turning to Bitcoin and altcoins as an alternative to the bolivar – with inflation spiraling out of control. Roubini stated that Venezuela’s case was no more than an exception, and that cryptocurrencies would never replace conventional state-issued fiats. Nouriel's main point of "trust the system" falls apart the moment you take these "exceptional" events into account. For they aren't as exceptional as mainstream economists claim. We have a war every 50 years. Families migrate every 100. Finance collapses every 10. Later, Buterin also added that younger investors were disinterested in commodities like gold, but showed enormous enthusiasm toward cryptocurrencies. 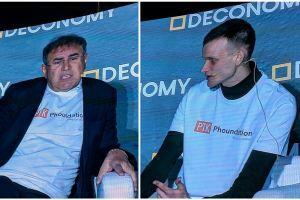 Other than this, both men appeared to stick to their repartees – with Roubini yet again railing against crypto’s scalability, and Buterin once more singing the praises of sharding. Deconomy claimed that an audience of 1,500 was in attendance at the event, which concludes tomorrow. Buterin yesterday addressed South Korea’s National Assembly, commenting that blockchain and cryptocurrencies are virtually inseparable. Dr Doom Strikes Again: "Buterin is "Dictator for Life"
Buterin "Lost" USD 460 Million, Community Offers "Help"